Much like every Hollywood heavyweight to hit the red carpet, film star Marcus Jackson thought he was invincible — until he loses his temper and attacks the paparazzi. To his dismay, Marcus (Bill Bellamy) is sentenced to community service and is forced into a role he never expected: a high school teacher. An unruly and vivacious bunch, the students at South Central High are last in math, last in reading, but number one in crime. 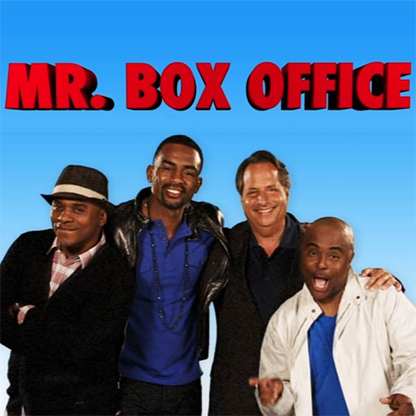 Joined by a comedic dream team of Jon Lovitz (“SNL;” “The Critic”), Alex Thomas (“The Jamie Foxx Show;” “Family Guy”), Tony Roberts (“Def Comedy Jam;” “It’s Showtime At The Apollo”), Vivica A. Fox (“Independence Day;” “Kill Bill”), and Essence Atkins (“Smart Guy;” “Are We There Yet?”), Bill Bellamy lights up the small screen with his razor-sharp wit and impeccably-timed delivery. The group’s satirical chemistry radiates as Marcus balances the challenging world of academia with the demands of his incessant agent (Lovitz) and the mishaps of his roommates (Thomas & Roberts).